Cute outfit! 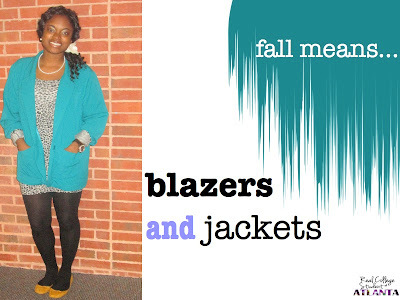 Can't wait to wear my warm blazers this fall! Love blazers too, this is very cute! Sure we can follow each other, just added wait for u! :) kisses! Blazers are my favorite things EVER. I wear them all the time because they go with everything. You can never have too many! new folloer, waiting for you now, nice cardi!! I love blazers because they bring a more structured look to the outfit! And you can have it in so many shapes!! By the way I really love the color of yours! Is a fall color but it still very fresh and joyful! Your green and leopard look so awesome :) I love how cheery that colour is...I need a blazer like this.